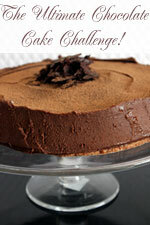 Wonderful Lorraine at Not Quite Nigella is currently running a competition for the best chocolate cake recipe. How could I resist! This recipe was given to me after I harassed my friend Penny for it over a couple of years. She finally gave it up, and though reluctant to share, share I will. It’s a very simple melt and mix cake, and it’s success is in the quality of the ingredients and careful baking. 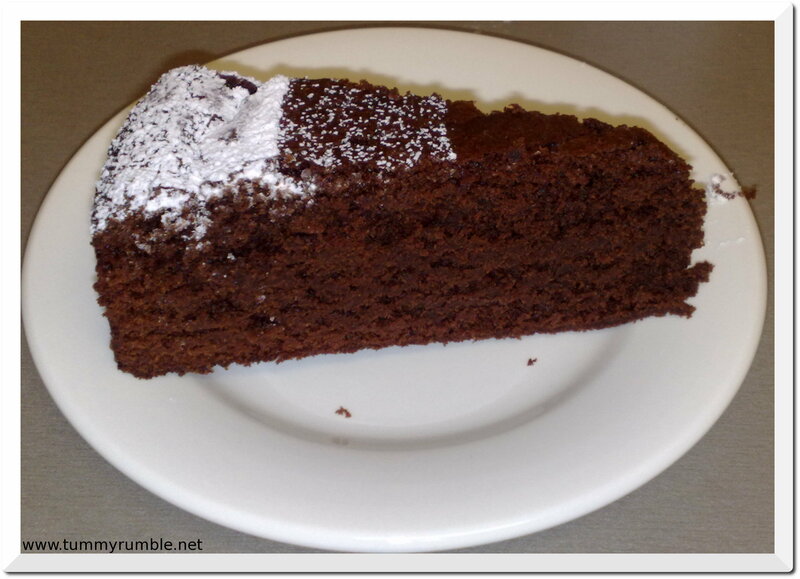 It’s rich and dense and chocolatey. Enjoy! Melt the butter in a large saucepan – do not allow to boil. Dissolve coffee in boiling water, and add coffee mixture, sugar and broken up chocolate to butter. Stir until dissolved, melted and mixed. Do not allow to boil. Sieve flour and cocoa together and add to butter/choc mixture in 3 lots, beating well between additions. Add eggs one at a time, beating well between eggs. 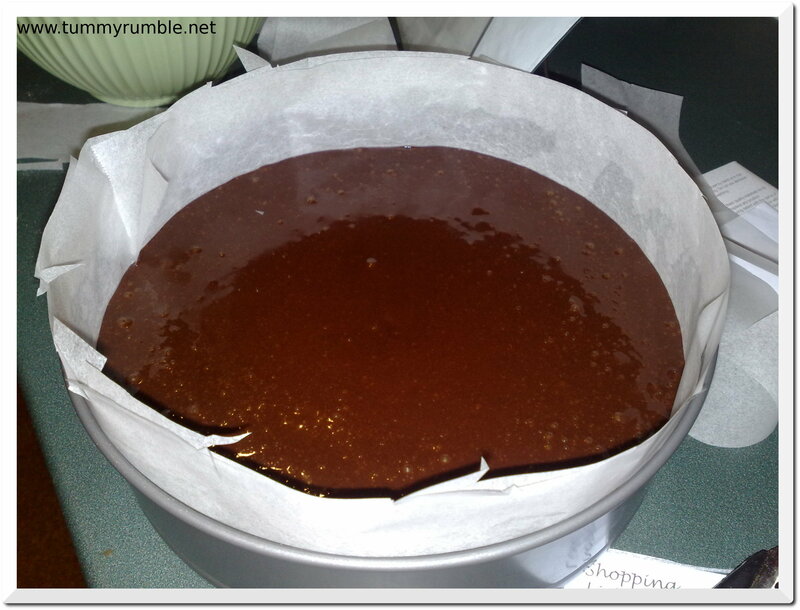 Pour mixture into a well greased and lined tin, and bake in a slow oven (fan-forced around 160°-170°) for 1 1/2 hours. The mixture when cooking is very moist and really only firms up at the end. It makes a very large cake. When cooked the top very often rises and cracks (high sugar content), and apparently it is very good to freeze when cold, but I’ve never tried! Great cake! And you’ve just reminded me that I need to bake one for Lorraine’s event too. Belle, please go ahead and bake to your heart’s content..it’s such a decadent cake it must be shared! Mmm, yummy! Going to check the details now – hope I’m not too late! This sounds great and I am going to attempt it this weekend, just curious if the temp. listed is in Celsius or Fahrenheit. Hi what size cake tin did you use?????? yumm!! Am thinking of making this for my friend’s b’day tomorrow. When you say “Beat” in your instructions, do you use a handbeater for this or just good old fashioned elbow grease? @Kateyboo good old fashioned elbow grease! Thanks! 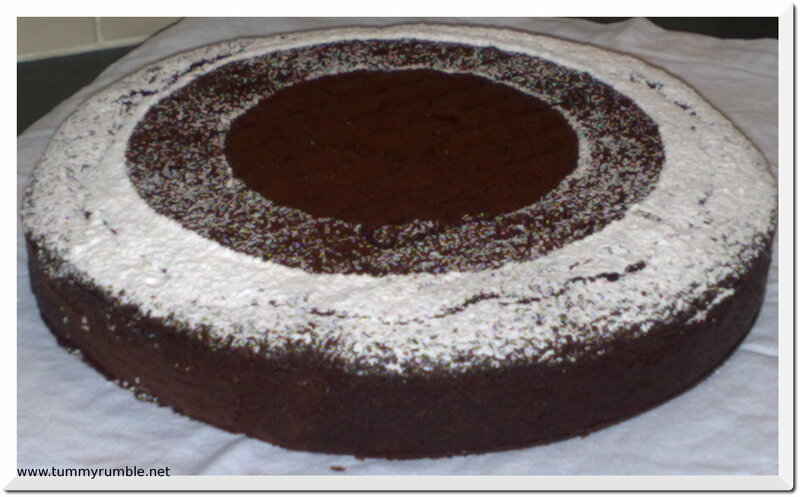 I tried making it today and the taste was great, but my cake sunk in the middle! (and I did’nt open the oven door). Help!! Any suggestions or thoughts why? Maybe I let the mixture cool too much? @Kateyboo Oh, so sorry that it sunk. It’s not meant to rise much as it’s quite dense, but it shouldn’t collapse. But as they say, Practice Makes Perfect! I am puzzled. Try again and let me know how it is. 🙂 i think I might not have mixed itprperly. will try again and hopefully it will work!! 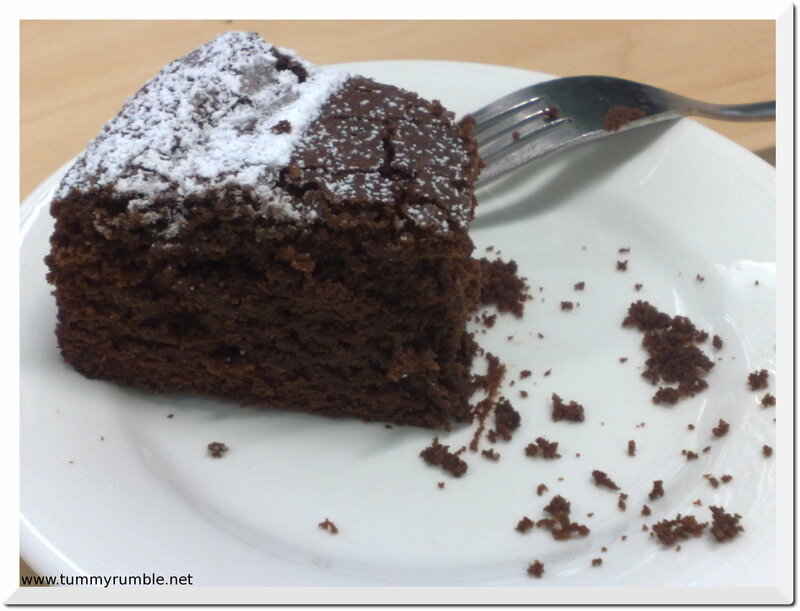 But it was very yum…. .-= Kateyboo´s last blog ..Staying Focussed Is The Bane Of My Existence =-. Hi, very silly question: how many mls is a ‘cup’? Reem – this recipe is amazing. I made it last night and mouth watering goodness results! I am keeping this link for ever! 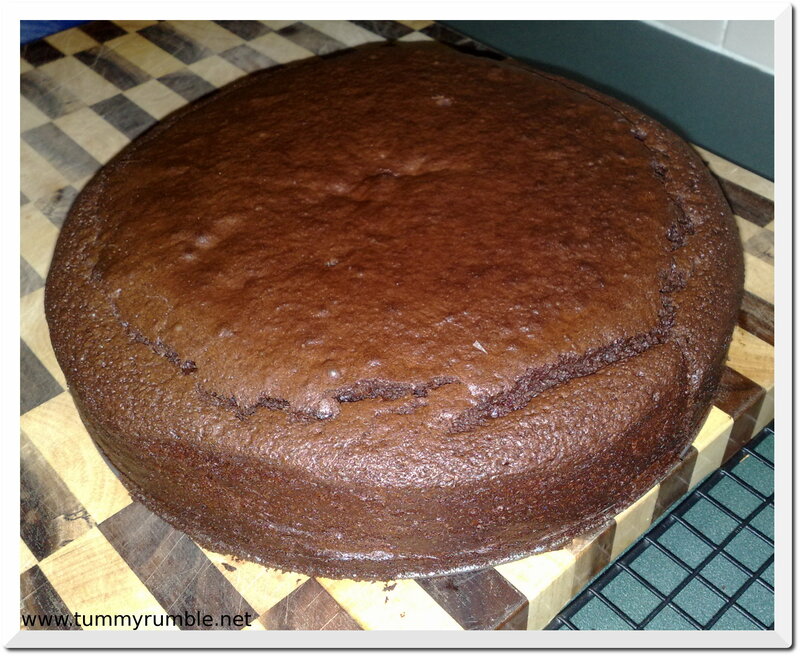 Thankyou for sharing- you have filled the chocolate cake hole in my recipe collection. The recipe seems wonderful! I’ll have to try it one day. I know this is an old post, but I stumbled upon this recipe in my quest for a delicious chocolate cake for my sister’s wedding. 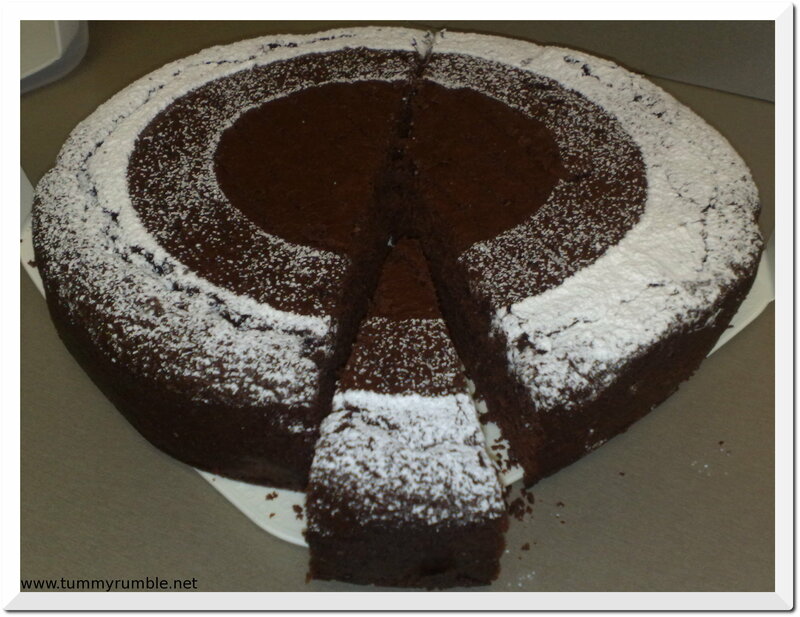 Although, she chose a different cake I use this recipe whenever I need to make a chocolate cake. I used it for my chocolate cupcake with salted caramel buttercream and gave you credit. Thank you for sharing it! Why thank you Miss Nisa, I’m thrilled that you’re enjoying it.